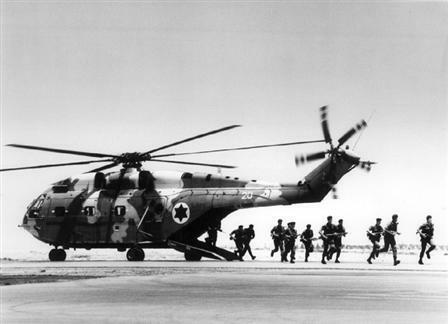 The Israeli Air Force : Behind Operation "Shock"
50 years have passed since Operation "Shock", the first time that IAF transport helicopters went 200 kilometers into enemy territory. How did the IAF and IDF Sayeret Tzanhanim manage to turn off the electricity for half of Egypt? The target: blowing up nine electrical transformers and cutting off electricity to half of Egypt, including Cairo. 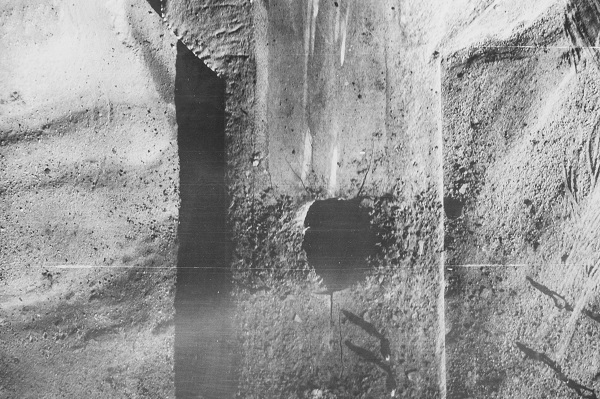 In 1968, one year after the Six Day War, the Egyptians conducted heavy artillery bombings on IDF outposts throughout the Suez Canal and commando raids in the eastern bank. Israeli citizens were being killed every day, and Israel's security forces realized that the threat must be prevented. This marked the origin of Operation "Shock". "We decided to strike deep in Egyptian territory using a commando force", said Maj. Gen. Matan Vilnai, former IDF Deputy Chief of Staff and commander of the Sayeret Tzanhanim during the operation. "We could have sent in a fighter jet and gotten it over and done with, but we wanted to show the Egyptians that we could do more and surprise them". A crew of 14 commandos began training. "In the beginning, we trained using Nord aircraft, but we quickly realized that we could have been dispersed throughout the area or shot down, so we were forced to think up a new plan", recalled Maj. Gen. (Res') Vilnai. 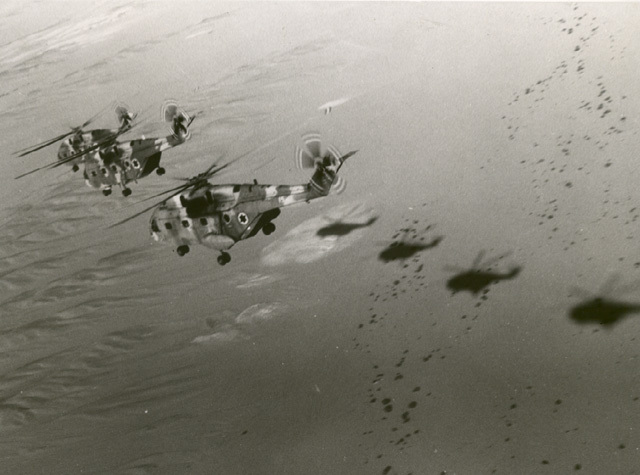 At the same time, the 114th ("Night Leaders") Squadron utilized the "Zir'a" (Super Frelon) helicopter. "The squadron commander told us that an operation was being planned in the Operational HQ, and they were looking for an aircraft to perform a long-range mission deep in enemy territory. The helicopters had only three engines and one rotor – a fighter jet would have performed the mission in several minutes", stated Maj. (Res') Ze'ev Matas, who was captain of one of the helicopters during the operation. "However, it was clear to me that we were up for the challenge". A plan formed quickly: two "Zir'a" helicopters carrying the explosives and the commandos were to take off and fly into enemy territory. When they arrive at the area, the commandos will land a one-hour-walk away from the facility, advance by foot and blow up the electrical transformers. One hour after the first pair of helicopters takes off, an additional pair will take off to extract the commandos. "You are deep in enemy territory and you have no idea what goes on there. You have no connection with the commanders back in Israel. We sent in commandos knowing that they may not come back", shared Maj. Gen. (Res') Vilnai. "This was the first time we performed an operation of this size". The 114th Squadron reinforced the sentiment: "We never flew 200 kilometers in enemy territory – the situation faced us with various challenges", elaborated Maj. (Res') Matas. 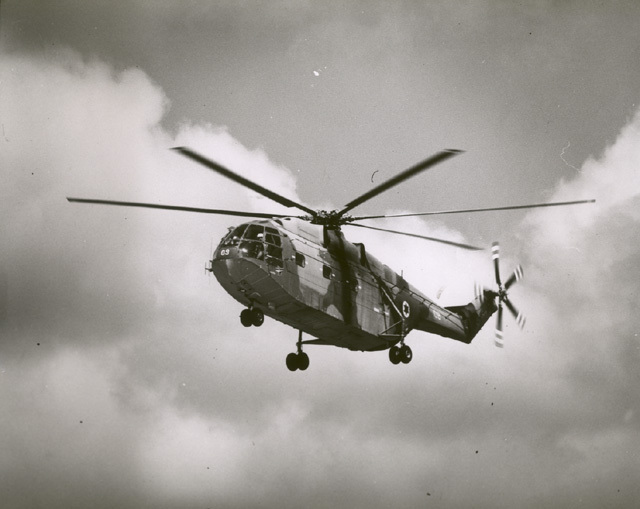 "The weight that the helicopter was able to carry and its flight range were limited. The maps weren't updated, and the operation was planned for the nighttime". The commandos arrived at the destination of takeoff. "When we took off, a certain part of the helicopter malfunctioned and we had to switch to one of the extracting helicopters", said Maj. (Res') Matas. "We realized that we would be heading out on the mission without an extraction helicopter. The helicopter had to be fixed, but we took off anyway", revealed Maj. Gen. (Res') Vilnai. "We had faith in the air force, and we trusted the pilots and crews with our eyes closed. We knew that the operation would go as planned". The helicopters began flying south at 7:07PM, flying quietly in the dark according to the mapped route. 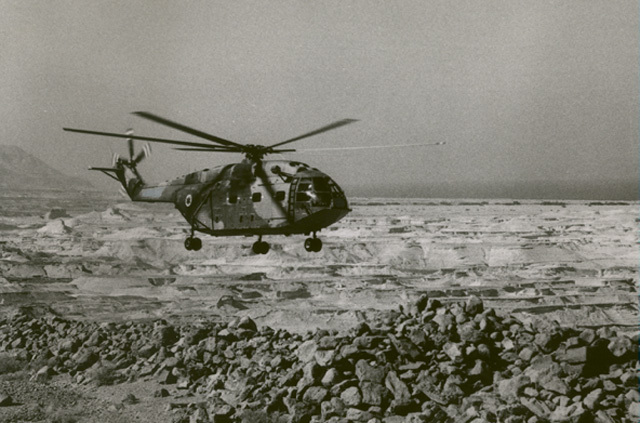 This was the first time that IAF helicopters flew 200 kilometers into enemy territory. The deeper they went, the more tension rose. "When we reached the landing zone, the helicopter was spotted by a train – we felt that they were onto us", elaborated Maj. Gen. (Res') Vilnai. "Looking back, I know that the Egyptians wouldn't have thought that Israeli combatants would have been on that helicopter. We flew on and saw the facility, which was a kilometer long and a kilometer wide". They located the facility and prepared for landing. "We didn't turn our lights on so they wouldn't see us. The area was dusty, rocky and unsuitable for landing", recalled Maj. (Res') Matas. The first helicopter landed and the commandos disembarked while marking the landing area for the second helicopter using a flashlight. The forces advanced while the helicopters flew north, back towards Israel. At the same time, at 8:17PM, the extraction helicopter flew towards Egypt according to plan. "We knew the combatants personally, so leaving them alone 250 kilometers into enemy territory wasn't easy", remembered Maj. (Res') Matas. Following several limitations in communication, the crew debated whether they should follow through with the operation or not. The team heard IAF aircraft blow up bridges in the area using "sprinkler" bombs and decided to continue. The combatants walked for an hour with a hand cart carrying the explosives. "We arrived at the outside wall and nothing was visible from the outside. I climbed on the shoulders of one of my soldiers, looked inside and saw that we were where we wanted to be", said Maj. Gen. (Res') Vilnai. "I climbed the wall using a pre-made rope ladder. An Egyptian security guard equipped with an AK-47 was sitting on a pile of building material. There was a dilemma: on one hand, we set a predetermined time for the extraction and the helicopter couldn't wait for us, and on the other hand, we had a mission to perform". Maj. Gen. (Res') Vilnai realized that he had no choice and jumped over the wall. The Egyptian guard noticed him, and ran for backup after a short exchange of words triggered his suspicion. The commando force went inside and attached the explosive charges. "We activated the explosive charges with a ten-second delay fuse. The charges detonated, and 350 tons of boiling oil flew to the sky. The shockwave knocked us to the ground. It was a spectacular sight to see – just seconds later, we laughed like madmen". The commando force began walking towards the mountain range, where the extraction helicopter was waiting. After walking for an hour they radioed the helicopter, which landed near them within five minutes. 50 years have passed since Operation "Shock", which became one of the IAF's most major operations. The operation made the entire IDF, and the IAF specifically, realize the abilities and importance of the Transport Helicopter Division.